We are Jewellery Specialists. We concentrate all our efforts in offering the best jewellery - just like the brands - but half the price. 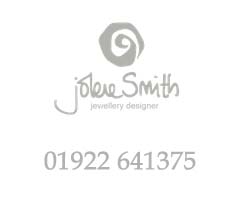 All our jewellery is specially selected, with careful consideration to its style, design and the quality of workmanship and of course, our customers' lifestyles. 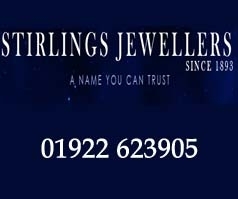 Stirlings Jewellers are the independent retail jewllers in Walsall. In the early 1900′s, he made the short move to the Victorian Arcade where the shop still stands today. 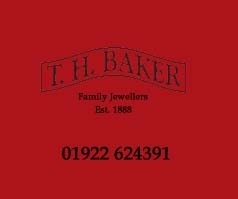 T H Baker operates 23 stores nationwide, located throughout the Midlands and southern England. 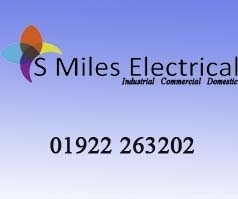 Each store has its own assembled team of helpful staff ready to aid customers with extensive product knowledge. The increasingly innovative spirit of T H Baker is perhaps best displayed by its recently established Pandora stores. The Jewellery designs; displayed on this web site look great and wear well. Some of the pieces come from international manufactures while other pieces are manufactured in-house by Ajay Jewellers. Welcome to Jewellery and Gifts Limited! 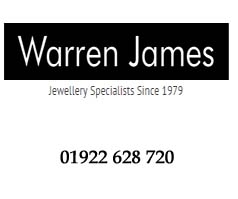 We are based in Aldridge, Walsall and we strive to offer a wide range of jewellery to suit all ages and budgets. 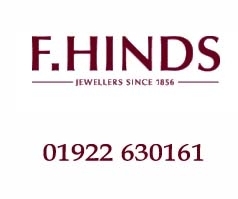 With our wealth of experience and vast selection of jewellery and giftware, we are able to provide the best possible prices, delivered with the best possible service.